Summer is here and I just couldn’t wait any longer to write and publish another food related post. Don’t worry I am not going to make this a food blog, OCAAT will remain as a finance blog 🙂 The other day we had a party at home and the drinks were liked by our guests. Here’s some of the drinks I specialize and rely on to beat the Florida heat. Beating the heat with cool summer drinks is something that everyone looks forward to when summer comes near. In this article, you will be able to find the cheapest, most foolproof drink recipes that are not only refreshing, but they’re also incredibly tasty! Be sure to try these recipes out, so you can find one that suits you and your family. 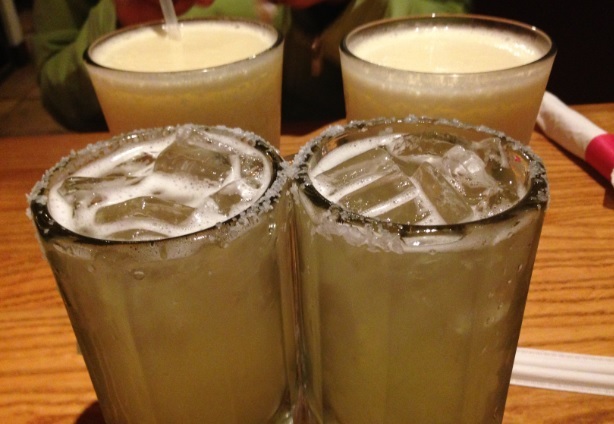 This way, your family will have a signature summer drink. Sugar is the best natural remedy to produce glucose in our blood stream, which helps us get more energized and alert on a hot summer’s day. Sugar is available in all fresh fruits, which means that you’ll be getting nature’s glucose as well as save the bank, since fruits are cheap in the summer season. Whether alcoholic or non-alcoholic drinks, cool summer drinks can truly be enjoyed by every one of all ages. Be certain to restrict drinks that consist even dashes of alcohols to toddlers and children, as alcohol consumption at their age can be poisonous and cause alcohol poisoning as well as seizures. Here’s the super easy recipe for good simple syrup. • Combine water and sugar in a pan; bring to a boil in medium high heat. Once boiling, reduce to low heat, simmer and stir until all sugar dissolves. • If the recipe calls for more serving, double the amount of both ingredients as long as they are of equal parts. 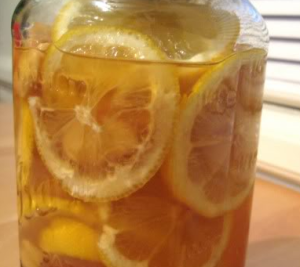 • Lemongrass, lemons, and limes added during the boiling will enhance the simple syrup thus making your drink more heavenly. Remember to strain them when adding the simple syrup to your drinks. Now let’s get started in making cool summer drinks from that syrup you prepared! Perfect for picnics, birthday parties, and as desserts since it’s just as good as slushies! • Puree blackberries. Strain and press through a fine mesh strainer to remove the seeds. • Combine strained puree and lemon juice with simple syrup. Pour into a pitcher, add half of the sparkling water. 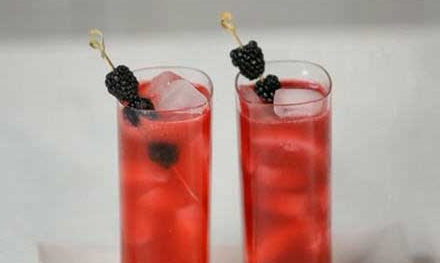 • Add more sparkling water or simple syrup to accommodate your taste. Serve with ice. This recipe follows a 2, 3, 4 measurement and is as easy as 1, 2, 3. The watermelon ice cubes are not only great for flavor but also helps chill your lemonade. • Cut watermelons into cubes or chunks, line them on a tray with wax paper and freeze for an hour, at least. This makes the watermelon act as ice for the drink. • Juice lemons, strain them to remove any seeds and pulps. Stir in a pitcher with sugar. Add water, and chill in the fridge until needed. 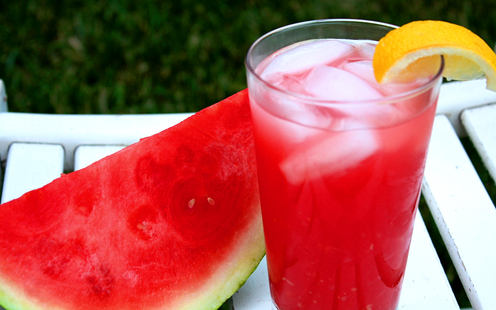 • To serve, add a handful of the watermelon ice cubes in a glass, add the lemonade, garnish with a slice of lemon. You will need a glass jar to keep this recipe in. Wash the jar with hot water to disinfect it. Make sure it is dry before adding the ingredients in. This recipe is not only easy to make, it also helps prevent cold and helps recovering from fatigue. • Slice lemons thinly, remove the seeds and discard the end pieces of the lemon. • Place lemon slices alternately with honey in the jar. Store in the fridge for three days, be sure to shake the jar once a day to evenly mix the concoction. • After three days, remove the lemon slices or the syrup will get bitter. Freeze the lemon syrups to make ice cubes. • Add syrup and ice cubes in a glass, add water and stir. • Be sure to use the syrup in a week’s time. 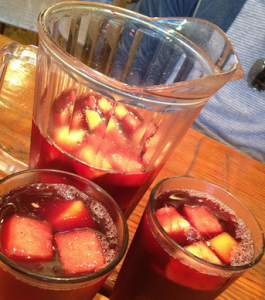 This citrus drink is a famous Sangria drink at Sabor Latin Grill. This recipe makes 15 to 20 servings, according to your party. • Pour and mix all ingredients in a punch bowl or pitcher and leave to refrigerate over night. • When serving, thinly slice lemons, limes or oranges, throw the seeds away and float the slices in the Sangria. Or add maraschino cherries for garnish. • Fill glass with ice. Muddle the blackberries, mint and simple syrup in a shaker. Add 1C ice and bourbon, shake well. • Strain into glasses, about ¾ full. Top off with sparkling wine and combine all in a gentle stir. 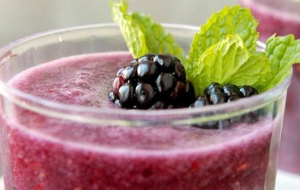 • Garnish with pressed mint leaves and blackberries. Now tell us what’s your favorite drink and how do you make it your way?